NetDespatch was among the first to develop Software as a Service (SaaS) solutions. The web technology developed by the company had a huge impact on the parcel delivery sector; new business models, such as CollectPlus, could be brought to market quickly, and operators could increase volumes without the heavy investment and operational restrictions imposed by conventional IT systems. BC: The web servers that were available in 1998 were designed more for reading data than for writing it. We tried every major manufacturer before deciding that we had to have servers especially made for us that could both read and write data at high speeds. Pre-broadband internet connections were slow and the cloud didn't exist. In the era of dial-up modems, access to the internet was not widespread and was unreliable. There were no application servers, load balancers or message queues, and web services were in their infancy. So we had to create all of this software ourselves. Gradually over the years we replaced all of these with industry standard applications and middleware components, and today our processing power is delivered through hundreds of virtualised servers from industry standard hardware. We worked closely with a few early adopters to produce the software that they and their customers wanted, and we had to develop fast, efficient, highly resilient and expertly monitored systems. TRP: What factors helped to drive the market? BC: The development of omni-channel retailing, starting with the move from catalogue to online retail, changed the market from a B2B (Business to Business) model to a B2C (Business to Consumer) model. Both retailers and parcel carriers needed systems that would handle significantly greater volumes of parcels, for delivery to home addresses as well as businesses. 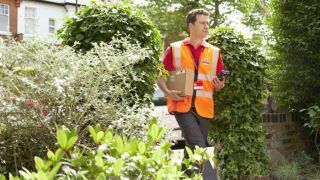 It became absolutely essential that home delivery address data was accurately gathered at the point of booking, and seamlessly streamed through to point of despatch, to ensure that the correct labels were produced for each parcel.